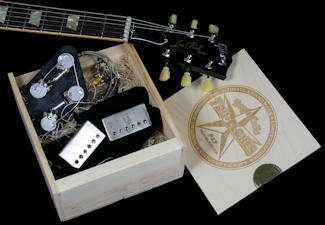 Les Paul’s Final Dream of the Ultimate Humbucker Pickup Comes to Life! Tom Doyle was Les Paul's "Right Hand Man" for over 45 years - Tom was Les' very close friend, his personal guitar builder, his co-inventor, confidant, and his soundman every Monday night for 27 years at Fat Tuesdays, then at the 2 Iridium Clubs in NYC... among many other things. 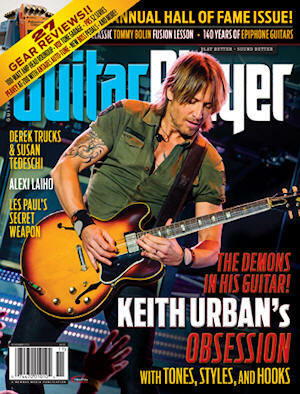 Suffice it to say that two were very close and Les counted on Tom for all things guitars and sound. 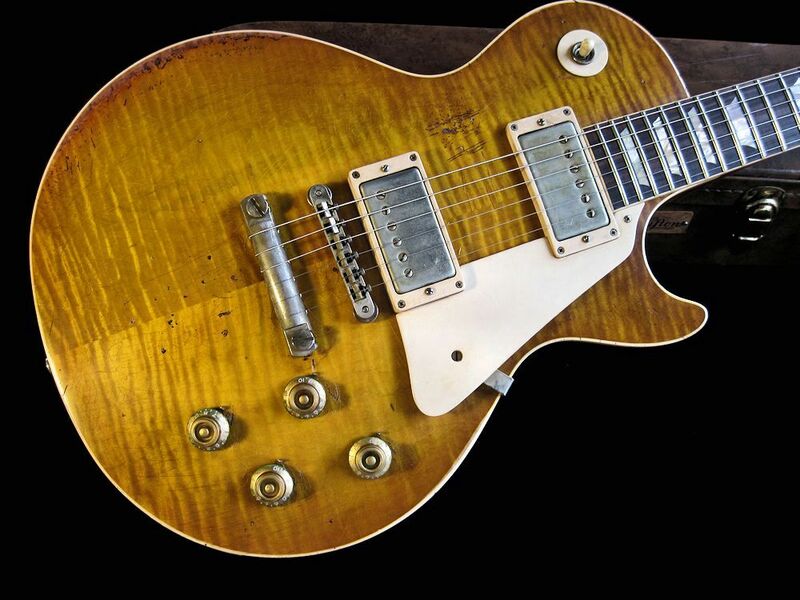 Most people don’t know this, but Les Paul was working very diligently in the last years of his life in an attempt to clean up the Humbucker pickup. He felt that the bottom end of the frequency response was muddy and unclear, and he fervently wanted to fix that. 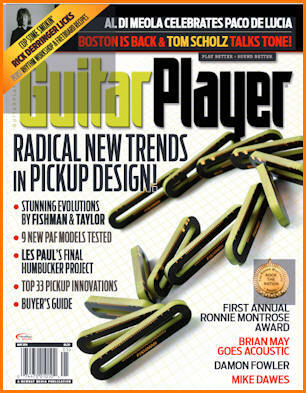 It seems everyone thinks that Les only had an interest in low-impedance pickups… but that is patently untrue and blatantly false. 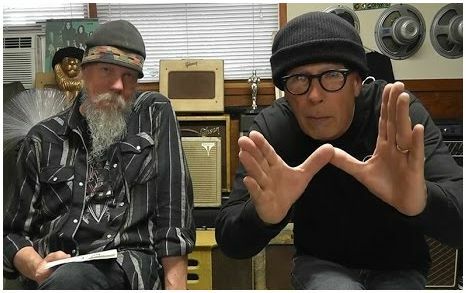 Les was working tirelessly in the last 5 or 6 years of his life to create the cleanest, clearest humbucker he could - and we have all of his experimental winds, all of his notes, labels, parts, etc... piles and piles of the stuff. Tom & Max pored over all of Les' notes, analyzed all the different experiments, measured the readings on all the prototypes, and kept chugging along in the direction Les was headed. 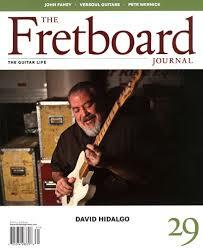 You see, Les felt that if there was obviously going to be humbuckers in the famous guitar that bore his name, then by God, he wanted them to have clarity, sharpness, and sparkle... and not have that muddy bottom end that so many double coil high-impedance humbuckers have… and we did it! Suffice it to say that no expenses were spared, no corners were cut, nothing was left out with regard to the quality and wind spec of these beautiful PAF Humbucker pickups that Tom & his partner Max have made as an homage to our close friend and mentor. Made with the strictest adherence to vintage detail and era correctness... Every part, piece, magnet, screw and wire, etc. is the "REAL DEAL". Nickel Silver base plates, butyrate bobbins, maple spacers, proper alloy slugs and fillister pole screws, long cast magnets that are gaussed by us, proper 42 gauge enamel coated wire, American made Vintage covers by the same manufacturer as the originals... you get the picture! Its all here... like the Vintage Originals! ~ LES WOULD BE PROUD! 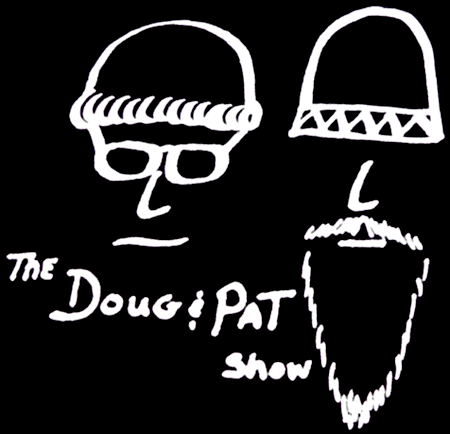 done by The Doug & Pat Show... turn it up! 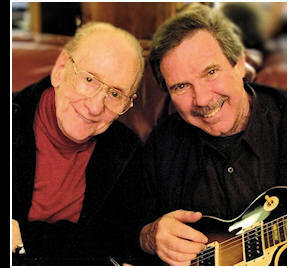 Tom Doyle has had the experience most guitar players could only dream of, working closely with Les Paul as his right hand man, guitar tech and co-inventor for over 45 years. 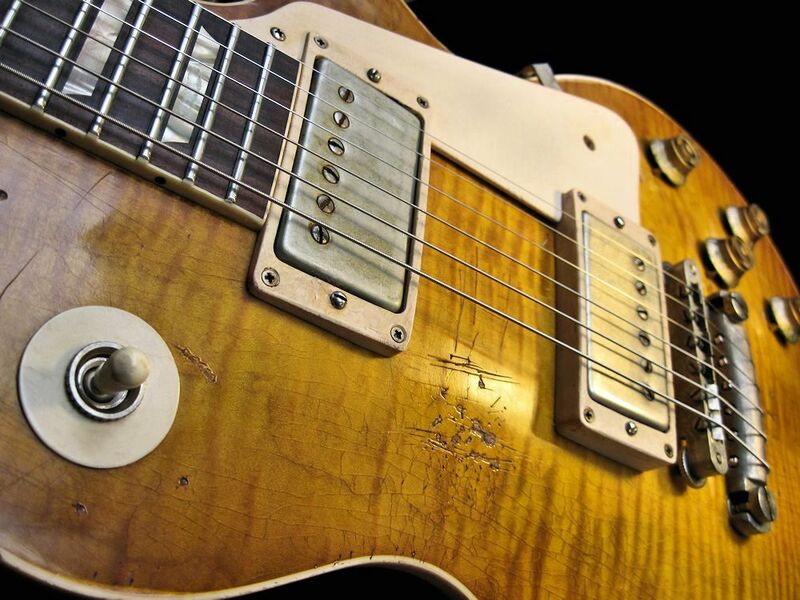 It was said that Tom could hear the same things tonally that Les could and this ability has led to a set of PAF pickups that carry on the legacy of Mr. Les Paul. 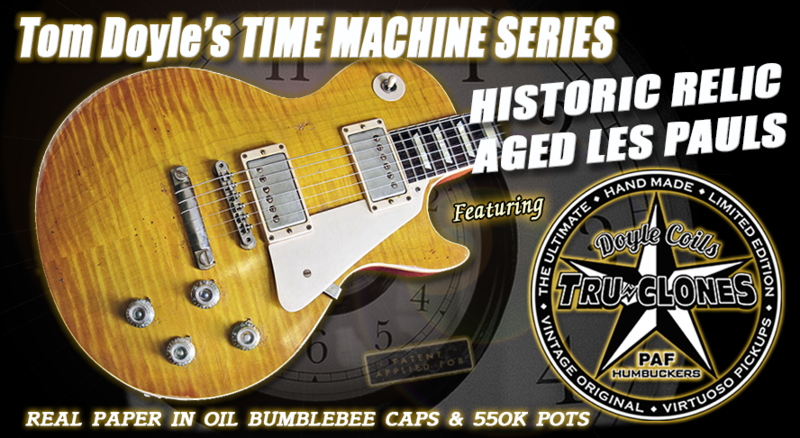 In the last few years of Les’ life, he never stopped in his pursuit to create a humbucker that was clean, clear and articulate. Les always loved the rich tone of a high impedance PAF but modern recreations always had too much mud for his taste. Now, thanks to detailed notes and prototypes passed from Les to Tom, TRU-CLONES PAF Humbuckers produce all the sonic qualities that Tom Doyle is certain his mentor and friend would have wanted in his own guitar. Sparing no expense, Doyle Coils are hand-made and custom wound entirely in the USA using a special recipe that has taken years to develop. 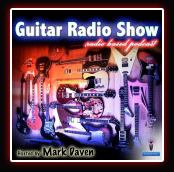 "Tons of harmonics and overtones, as well as the ability to cut through a mix without being shrill. 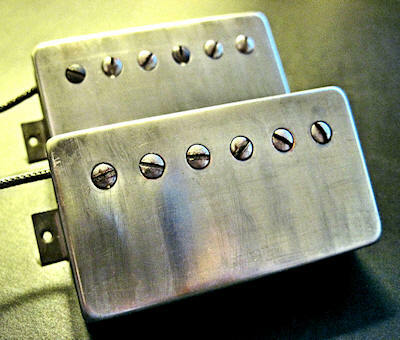 For a “Cinematic, HD-like” sonic quality..."
Tom Doyle's Doyle Coils TRU-CLONES PAF Humbucker Pickups... The best of the best! 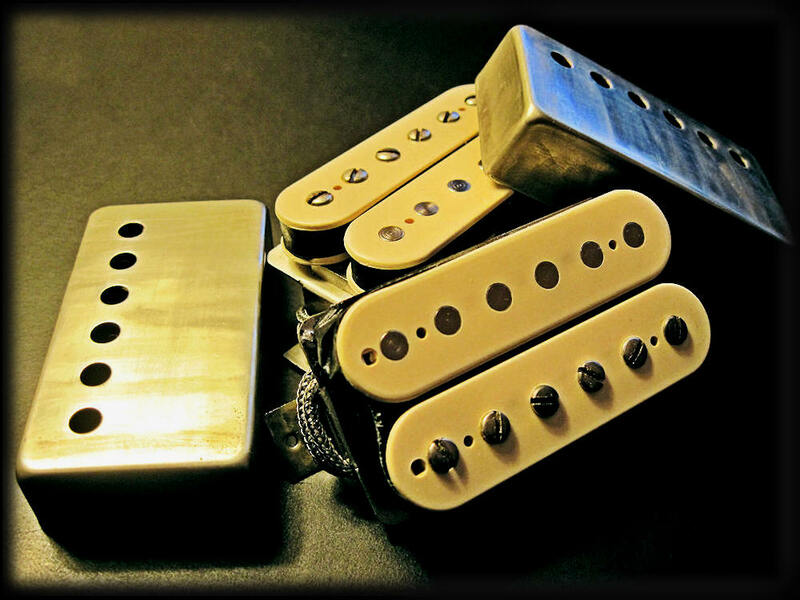 Now Tom has picked up the torch, and as an homage to his friend and mentor, has continued The Legacy and developed these amazing artisan PAF Humbucker Pickups. They are the culmination of all that toil, all of that obsessive drive and purposeful intent. We honestly believe that Les would have been proud - and now bring these PAF pickups to you in honor of our friend, Mr. Les Paul… The Ultimate TRU-CLONES PAF Humbucker. Thank you Les, wherever you are… we love you, honor you, and know that without you none of this would even be remotely possible! These Vintage '57 PAF Humbucker Pickups are spot on Vintage recreations of the originals... Undeniable '57 PAF reproductions in every single way. Cosmetically of course – with all the proper Vintage components, electronics, all of it... The vintage 42 gauge wire, the butyrate bobbins, the nickel silver base plates, the maple spacers, the degaussed long cast magnets, the proper vintage screws, the unpotted nickel covers, etc, etc... and with all the punch, bloom, articulation, tone, sparkle, and control that the original late 50's Kalamazoo pickups had in those famous Les Paul Bursts... and maybe just a little more!  As close to THE BEST REAL PAF you can get without spending thousands of dollars!